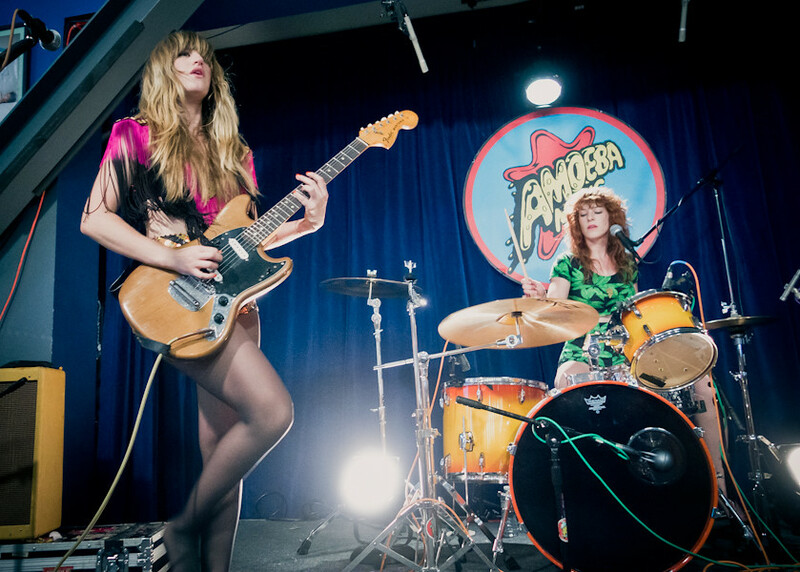 Deap Vally unleashed a high-octane performance at Amoeba Hollywood last Tuesday in support of their debut album Sistrionix. They're also currently touring with Band of Skulls through June. Deap Vally, consisting of Lindsey Troy and Julie Edwards, blasts a big sound with deep, driving drums and a feral guitar. 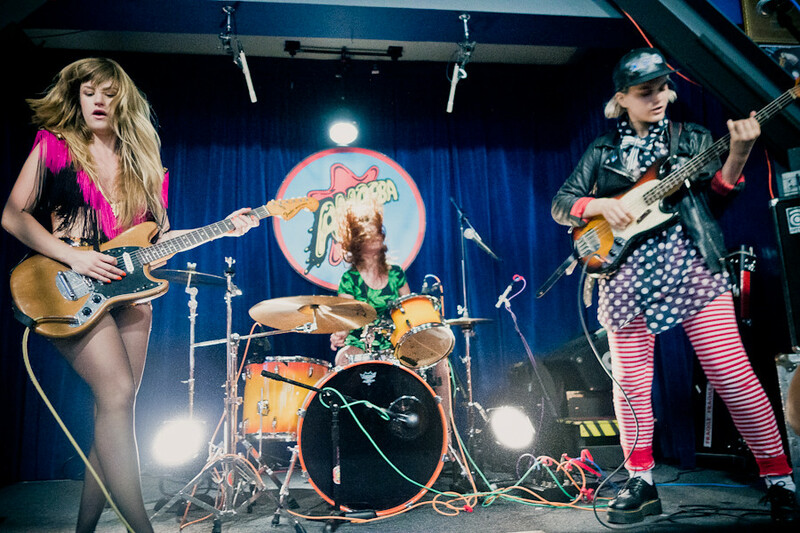 Kicking off their current tour with Band of Skulls, Deap Vally unleashed a high-octane performance at Amoeba on May 13th. Last year year, they released their debut album Sistrionix that made us believe that rock and roll isn't dead.